Another unknown fact that the readers may be stun to know is that this is the First film in which young Hrithik Roshan made his debut at the age of six playing junior Rakesh Roshan. Thus the association of Rajesh Roshan, Rakesh Roshan and Hrithik Roshan began with AAP KE DEEWANE! AAPKE DEEWANE was a mediocre at the box –office. Hence to be on a safer side Rakesh Roshan remade Telugu film SUBHODAYAM in Hindi as KAAMCHOR. The movie was directed by K. Viswanath, who directed the original. The movie was super hit and so were the songs by Rajesh Roshan. Who can forget the timeless songs like Tujh Sang Prit Lagaai Sajanaa, Tum SeBadhkar Duniya Mein and Jogi Ho JogiBhag Mein Mere Likha Hai etc. Further the two have given many more hits together like KHUDGARZ, KHOON BHARI MAANG, KISHEN KANHAIYA, KARAN ARJUN, KAHO NAA... PYAAR HAI, KOI MIL GAYA, and the KRRISH series. In a career spanning over four decades Rajesh Roshan has kept the tradition of melody alive in Bollywood music. He has the prestige of winning two Filmfare Music awards for JULIE and KAHONAA... PYAAR HAI. In addition he has the honor of being nominated 8 times for Filmfare Award Best Music Director in movies KOI... MIL GAYA; PAPA KEHTE HAI; KARAN ARJUN; KHOON BHARI MAANG; KAALA PATTHAR; MR. NATWARLAL; DES PARDES AND SWAMI. 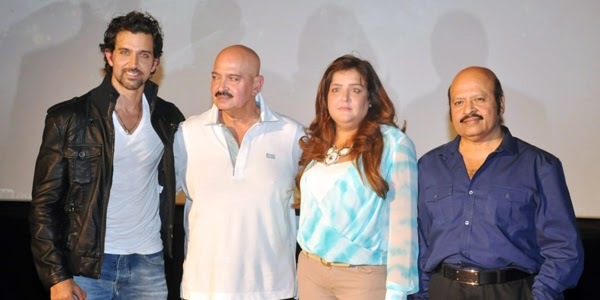 Raaga.Com wishes Rajesh Roshan a successful future.